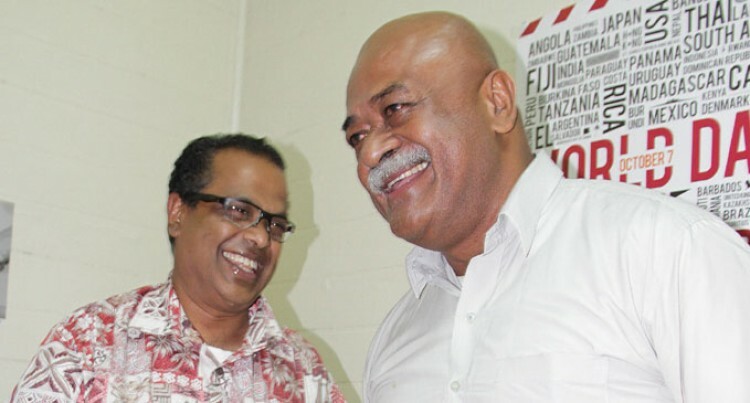 Fiji Trades Union Congress president Daniel Urai and businessman Jagath Karunaratne are free after their charges were withdrawn by the Director of Public Prosecutions, Christopher Pryde yesterday. The two were charged for urging political violence contrary to section 65 (1(b) of the Cimes Decree 2009. The state filed a Nolle Prosequi in court yesterday pursuant to section 49 of the Criminal Procedures Decree 2009. The court ordered for the return of the duo’s passports and other travel documents. Also the stop departure preventing the two from leaving Fiji has been lifted. Mr Urai, in a press conference, said he was relieved. “Every time I had to attend international union meetings overseas I had to keep going to court to apply for a release of my passport,” he said. Meanwhile Mr Karunaratne he was half-relieved because he still had one matter outstanding in court. Their lawyer Aman Ravindra Singh said the defence was ready for the trial but they were thankful for the DPP in reaching the decision to terminate the case.